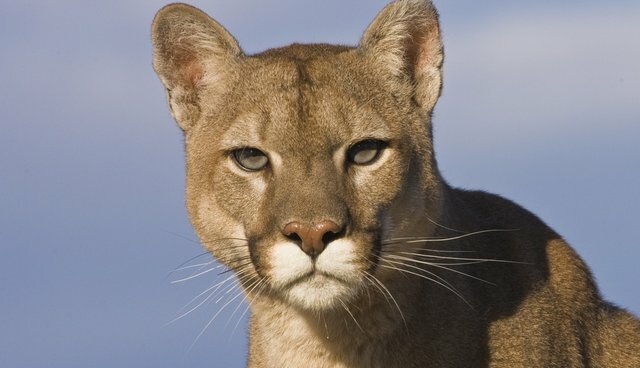 High power lines are a common stomping ground for winged animals, but a mountain lion in Lucerne Valley, California, decided to try out a perch typically claimed by birds. The lion, who was spotted on Tuesday, was reportedly spooked by something - either another mountain lion, dogs or people - and scaled the pole to get away from them. Someone snapped a photo, and it quickly went viral. Reactions to the strange sight ranged from "WOW!! Amazing sight!" to "Officials warning residents to be on alert," often in the same breath. But the overall consensus was to hope for the big guy's safe landing. These wild animals are incredibly strong and this mountain lion's brethren have weathered more dangerous trials than this one, so it's likely this mountain lion will be perfectly fine after his fright. By Tuesday night, he'd given up his avian dreams, vacated his post and disappeared back into the wild.